The new Callaway udesign website allows those purchasing a new RAZR FIT driver to customise the grip, shaft and head of their new driver. The Callaway udesign process is available for men and ladies RAZR Fit drivers in both right and left handed. There is the choice to have the sole of the club painted in one of eight different colours. Customers can also select a stock or after-market shaft, the flex and length of the shaft, the grip model and the number of tape layers under it. On tour San Diego native Phil Mickelson chose powder blue and gold in honour of the Chargers NFL Team and Alvaro Quiros asked for one in every colour so he could match his driver with his apparel. Customers simply visit the Callaway website and follow the Callaway udesign Club Configurator, selecting how they want the driver to be setup. 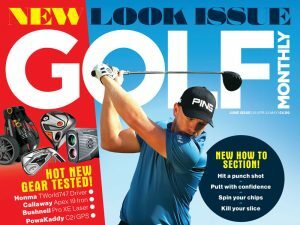 They then print off the details and contact a Callaway stockist to order the club. There is a charge of £40 for all udesign drivers on top of the standard price of the RAZR FIT (which has a new introduction retail price of £329). Several shaft options come with no added cost but on particularly specialist shafts the price will be determined by the Callaway stockist.